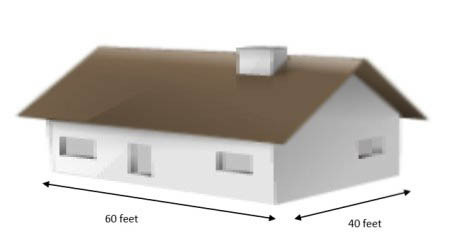 You might want to do a square foot calculation of your roof if you are going to be collecting rainwater in a rain barrel or several rainbarrels to have a pretty good idea of how much rain water your roof will give out, so you can plan ahead as to how many rain barrels,you would like to install. Collecting rainwater in a rainbarrel can fill up pretty quickly,but with an over flow valve,it will disperse the excess water to your garden, flower bed etc... or a chain of plastic rain barrels. Before doing the square foot calculation and collecting rainwater, it might be a good idea to know the annual rain fall in your area. This can be verified with your local tv or weather station or you can refer to the links I provide at the bottom of this page. Knowing the square foot calculation and annual rain fall are two important things to do and to know. Keep in mind that a rainwater harvesting system can only effectively capture about 75 per cent of rain water due to evaporation or leaks. This results in a capture rate of approximately 0.46 gallons of rainwater per square foot of catchment area per inch of rainfall. multiply the catchment area(This is the Length of the roof's gutter______ X Width of your house____) X annual average rainfall in your area_____ X .46 to get the average number of gallons yearly____. **Keep in mind the following metric rules, so if you are reading the amount of rainfall in centimeters, convert this amount to mm. So 60ft X 40ft X 45.62"(annual rain fall) X .46 =Average number of gallons of rain water yearly. CATCHMENT AREA X 45.62" X .46 = 50,364.48 gallons of water! So this gives you a pretty good idea of how much rain water you can expect to collect on average. For the purpose of collecting rainwater in a 55 gallon barrel, obviously you don't need the whole catchment area of your roof, but again this depends how you will be setting it up.